Call For Your Speedy Fast Quote! With over 50 years of experience and more than 25 years serving Aurora as Precision Roofing, Inc., we have worked diligently in order to provide you with the kind of roofing services you can trust. See what we can do! 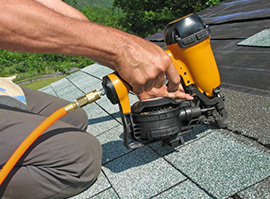 We specialize in all areas of roofing from repairs to installations to design and insurance companies. See how we take extra care ensuring that your roof is done right with a team that is passionate about what they do. 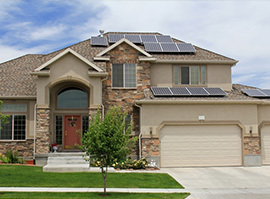 We have spent decades ensuring that our roofing services are the best in Colorado. Because of this, we have a family of clients who love what we do. We are proud to have earned an A+ rating from the Better Business Bureau. Our expertise combines with our knowledge of the Colorado climate to provide Aurora and surrounding areas with quality roofing services. Whether you need emergency storm damage repair, a completely new roof, or roof maintenance, we have quality, affordable solutions. There’s no better time than the present to get a roof you can count on. Contact us today with questions and get your free quote now! We see roofing as so much more than a job—we see it as a craft, a perfected skill, and an art, and roofing in Colorado requires so much more than your average service. Your roof needs to stand up to temperatures that can reach 100°, a foot or two of snow, potentially high winds, hail, torrential rain, and more, all while holding in the heat during the winter and protecting you from heat in the summer. Whether you need a commercial or residential roofing contractor, we have the expertise, knowledge and dedication in order to provide you with the kind of roof that you can trust throughout the fickle weather, throughout the seasons, and throughout the years. 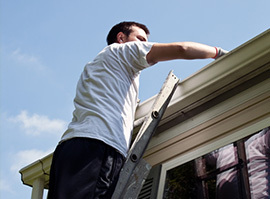 With a 7-year labor warranty on our roofs, you know that we provide a service you can trust. Contact us today and get your free quote now!